TravelEurope Attigliano hotel reservation service provides you with a wide variety of lodging and hotel options, from cheap hotels to luxury accommodation in Attigliano. Quick and easy hotel reservations with instant confirmation and great value for money whether you travel for business or tourism. Select travel dates and find all available hotels in Attigliano, check out guests reviews and locate properties on Attigliano city maps, book your favourite accommodation with no pre-payment. All rates are in Euros and inclusive of all taxes. 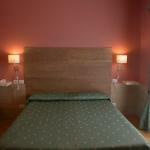 This comfortable hotel is located in the heart of Umbria, near the A1 motorway which allows rapid transfers. Many beautiful resorts are easily accessible from the hotel as Orvieto, Todi, Assisi and Perugia. Hotel Il Roscio is a comfortable 2-star family-run hotel immersed in the Umbrian countryside. Located in Attigliano, it is a 15 minute walk from the station, offering easy connections to Rome and Florence.